Computer Repair Technicians! Break/Fix Specialists! Do you take pride in what you do? Are you the "go-to" guy or girl for family and friends with computer problems? Prefer not to go to an office every day? Looking to get your foot in the door somewhere stable? SMARTECH is the employer you have been looking for! We hire on-site repair technicians nationwide. We hire for both full and part time jobs. In addition, we utilize the services of approved independent contractors for short and long term projects and contracts. A SMARTECH Field Service Technician works independently, in communication with a Service Delivery Coordinator, to provide installation, maintenance and repairs on equipment in a designated territory to assure high levels of customer satisfaction. Provide on-site tech support to include installation, maintenance and repairs of desk tops, laptops, and peripherals. Instruct customers in the operation and maintenance of their equipment as needed. Maintain open lines of communication with assigned Service Delivery Coordinator (SDC) to ensure customer satisfaction and meet Service Level Agreements. Provide SDC with required call closure documentation and necessary reporting. Resolve customer issues using superior customer service and communication skills. Must be a local candidate with knowledge of the geographical area and be available for immediate hire. Must have a valid driver license and reliable transportation. Must take and pass a comprehensive background check to include 7 year criminal history, drug screen and driving record. Must be able to carry and/or lift tools, kits or parts of up to 50-75 lbs. 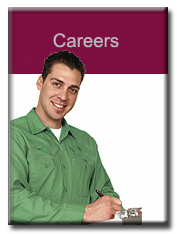 High school diploma or GED with at least 2 years of PC hardware repair experience in a customer field environment. Previous military experience in an electronics related field. Must have an ability to work with minimal immediate supervision. Ability to organize and prioritize service calls in consultation with SDC in order to meet overall needs of our customers and Service Level Agreements. Ability to follow necessary documentation, call closure and parts tracking processes and procedures. Ability to document and maintain accurate time and mileage records. Would you like a regular schedule with paid holidays and weekends free? How about a close, family atmosphere? Casual dress code? Are you comfortable on the phone and PC? Do you like having lots of stuff going on at once?? You could work in our Call Center! Our corporate headquarters are located in beautiful southwest Austin, Texas.